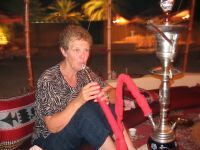 On my last night in Oman, Margaret and I decided to have dinner at the Al-Bustan Palace, one of the most lavish hotels in Arabia. 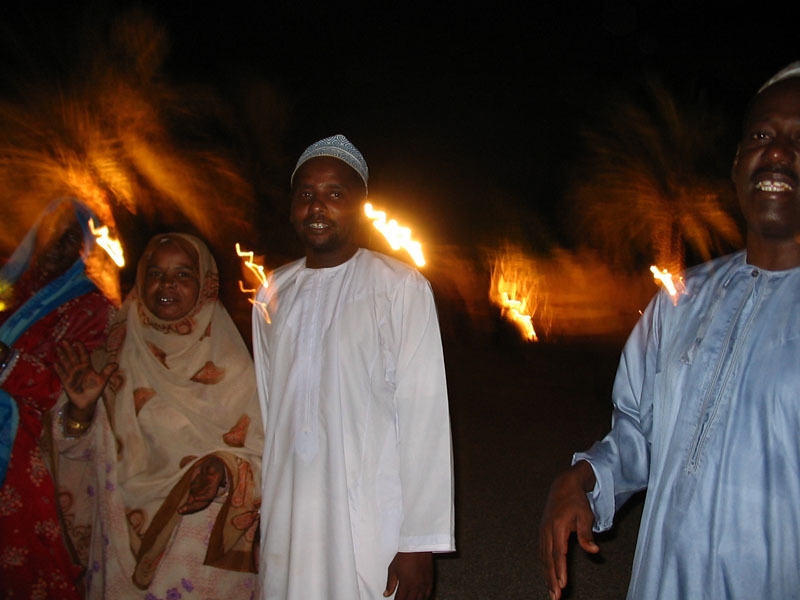 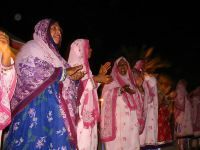 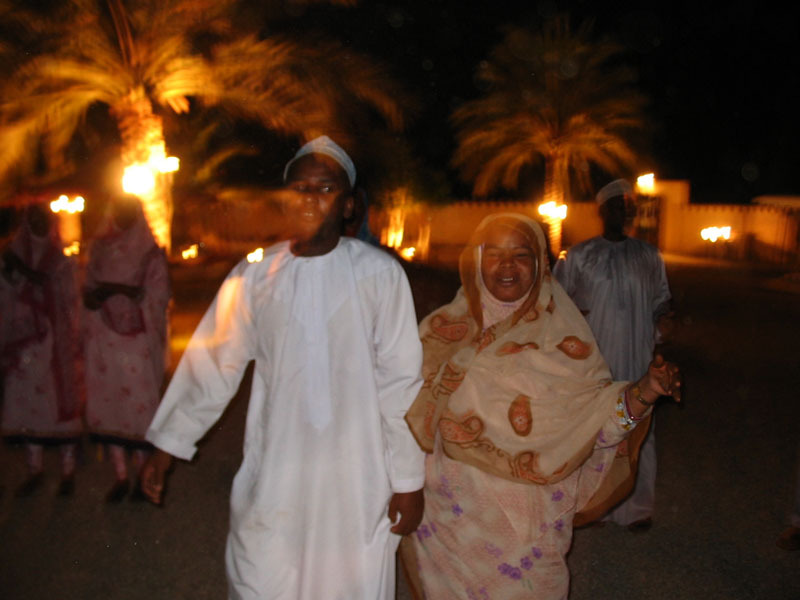 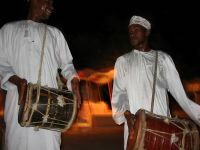 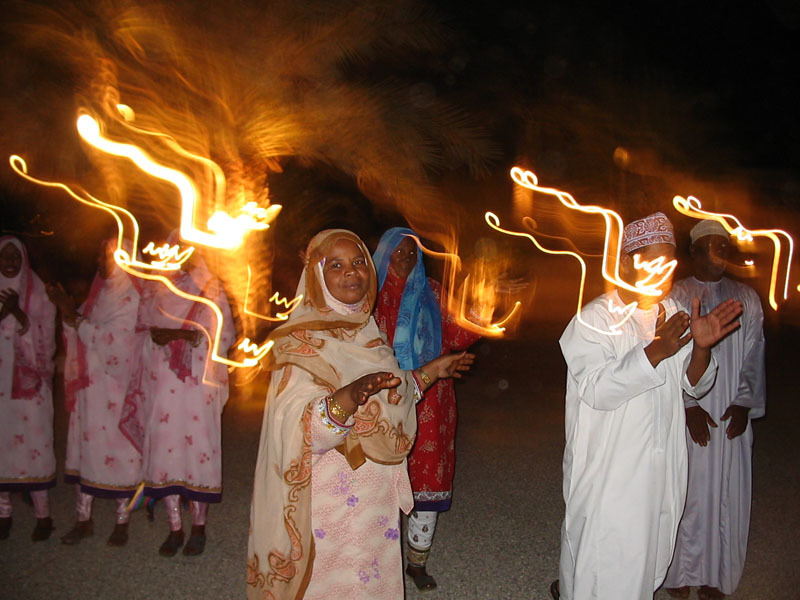 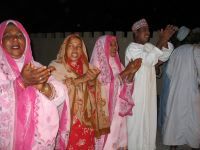 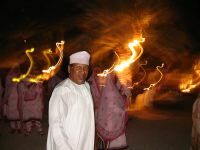 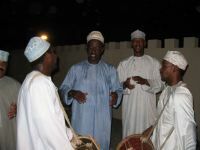 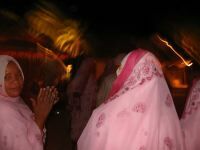 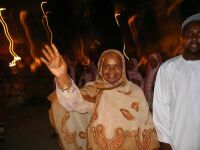 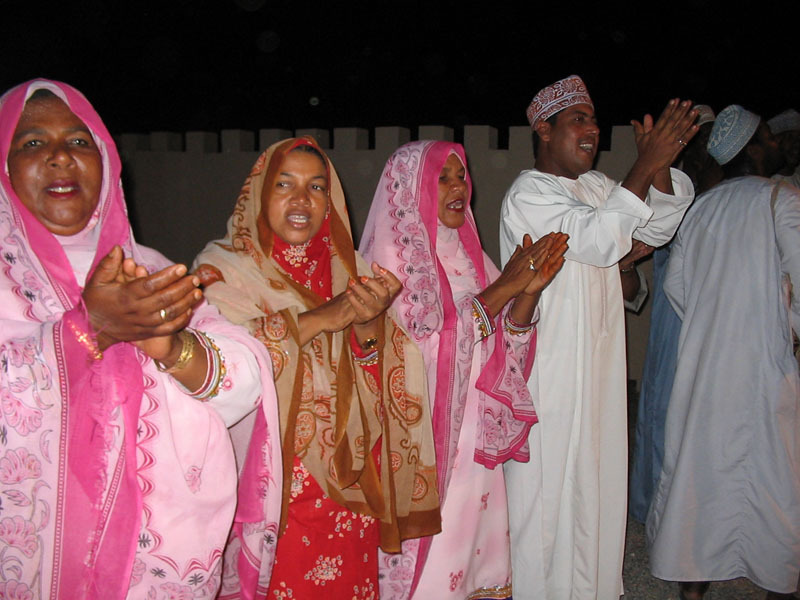 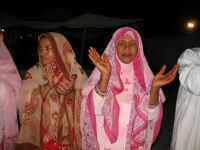 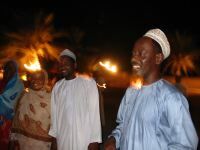 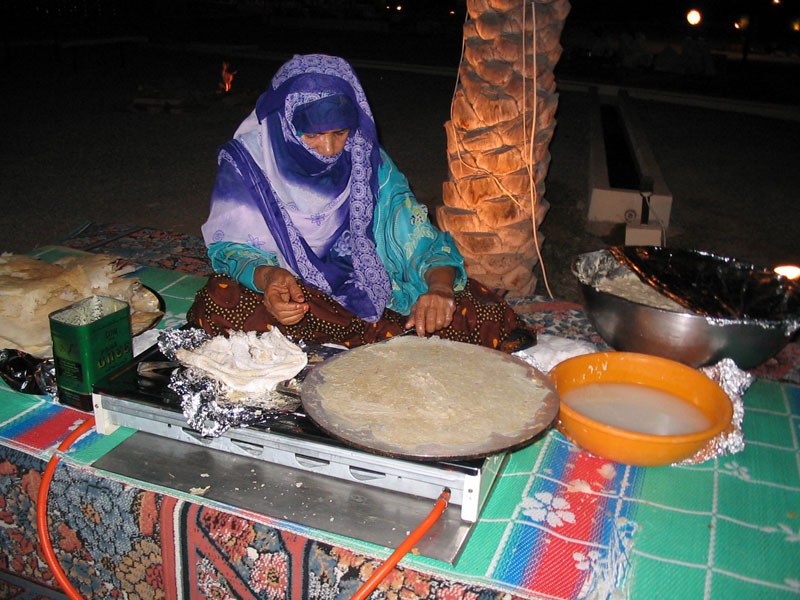 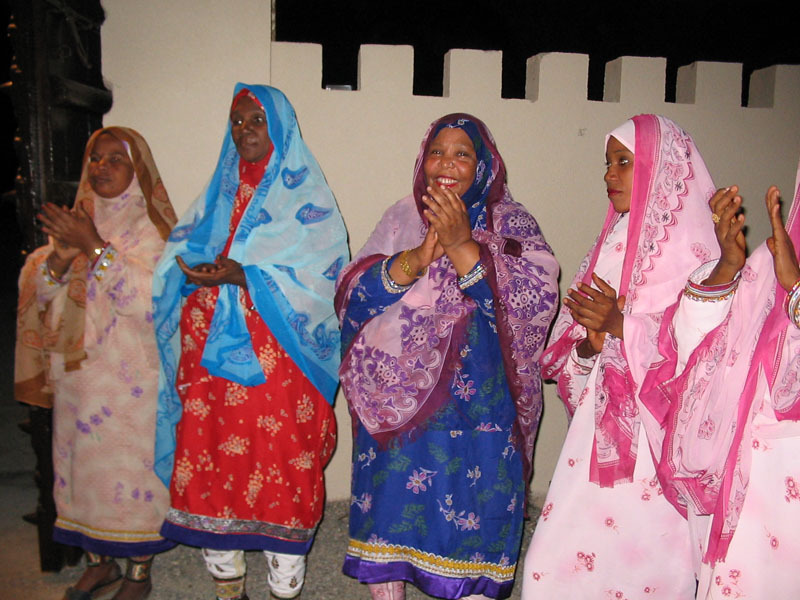 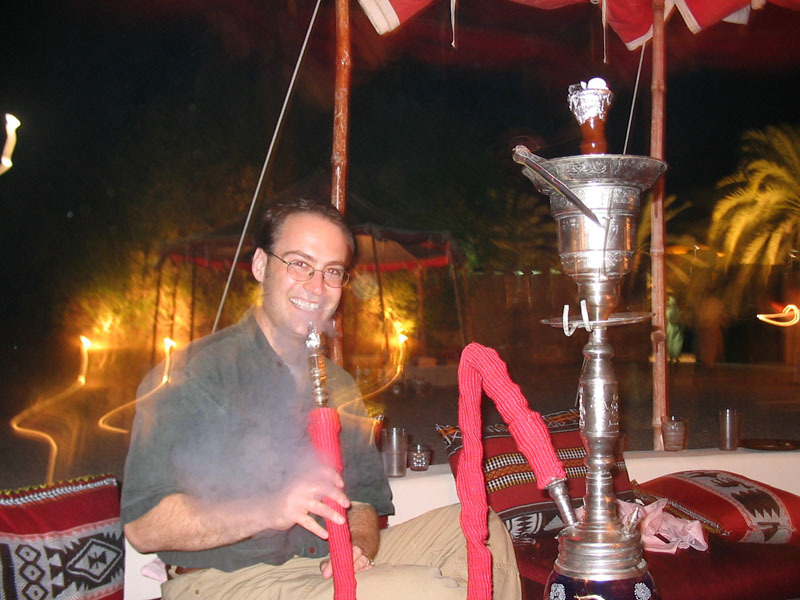 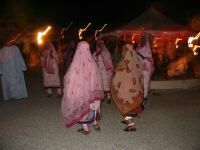 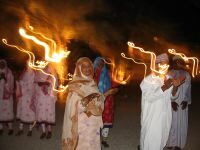 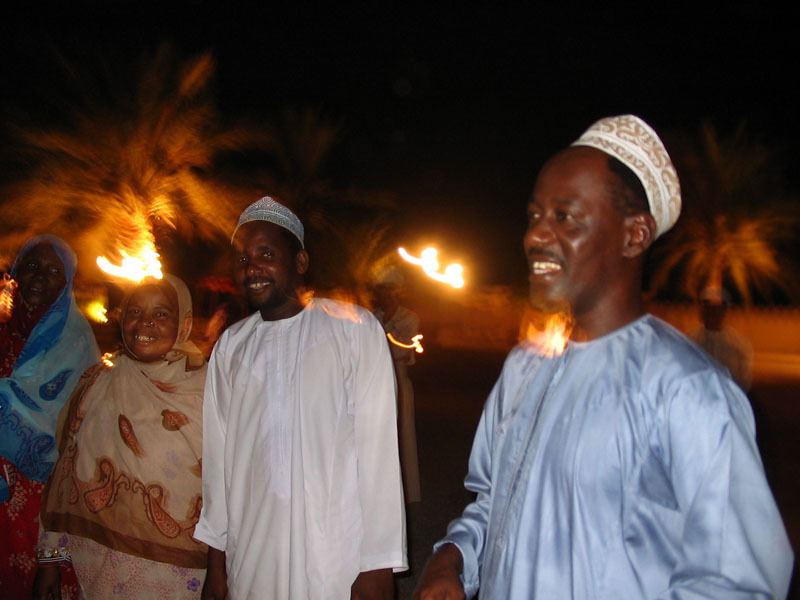 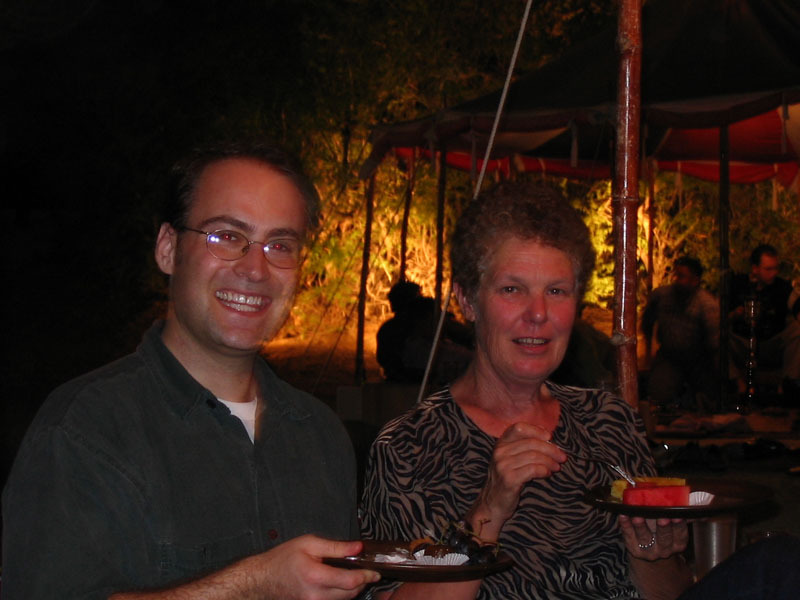 The hotel hosted a "bedouin dinner" in which we were treated to a feast of traditional Arab foods under bedouin tents, while a troupe of Omani performers sang and danced. Along with these photos, you can listen to the musicians or see them perform. 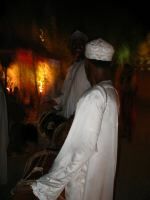 We're greeting by a troupe of singers and musicians. 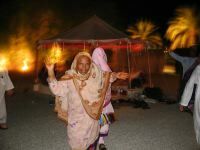 Enjoying desert in our bedouin tent. 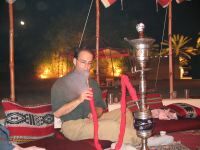 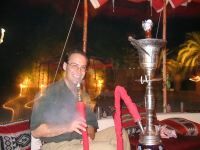 Enjoying an apple-flavored shisha. 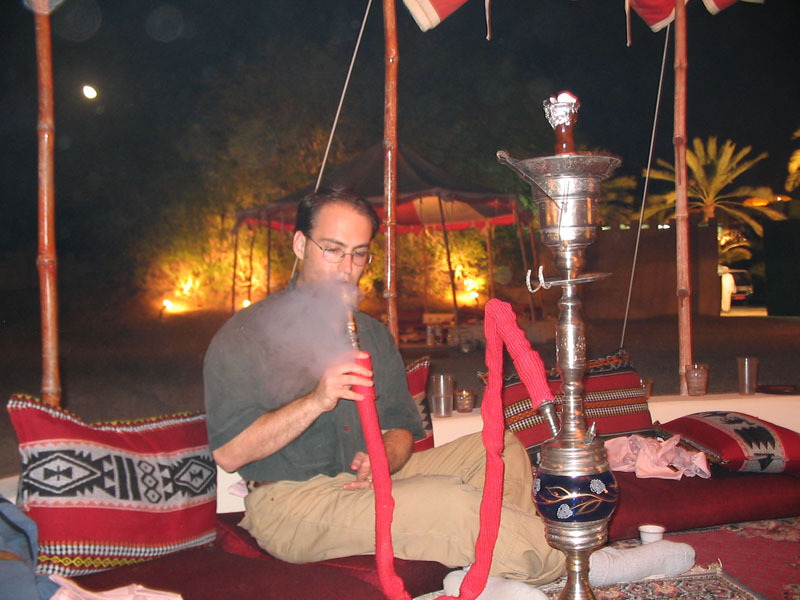 The "tobacco" is actually made out of dried fruit. Seriously! Margaret tries her first shisha. 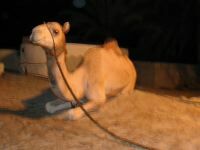 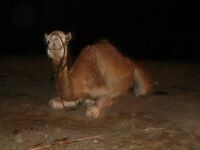 A camel sits outside the dinner area. 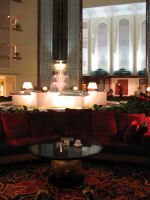 The hotel's atrium, from the roof to the floor, stitched together into a single photo. 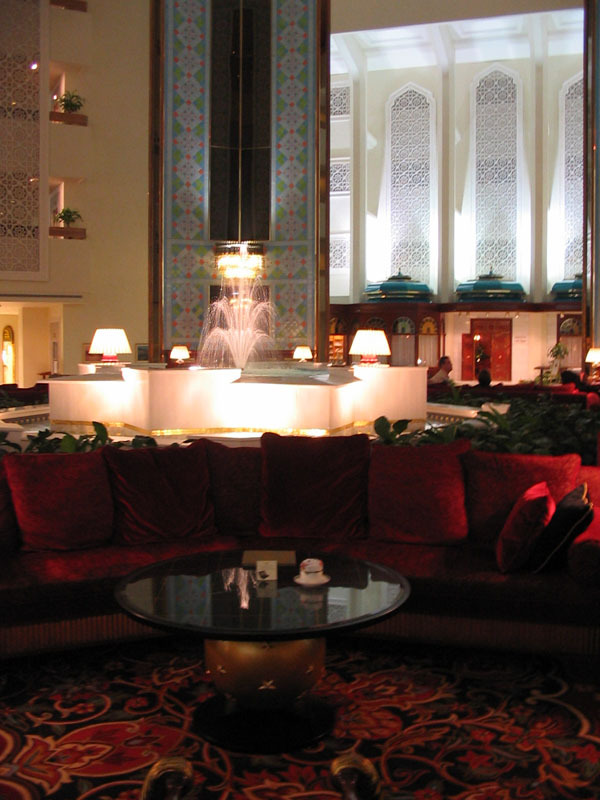 Fountain inside the Al Bustan Palace.